It is something that goes against the whole Hollywood model – cinema, rental, television – but movie studios in America are looking into releasing movies onto cable and satellite before they even hit rental shops' shelves. 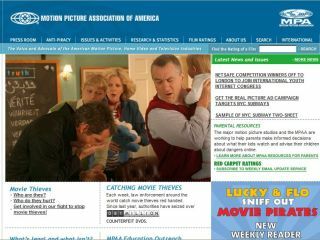 Recently, the MPAA (Motion Picture Association of America) and the FCC (Federal Communications Commission) have come to agreement that hi-def movies can come to TV quicker, but not without some stringent restrictions put into place – i.e. some form of DRM. The agreement means that new movies can be shown on HDTVs and satellite receivers that don’t have the means to copy the films. In the US, this rules out people with TiVo and DVRs. The move goes against studios usually waiting up to four months for films to hit Blu-ray and then another month or so before they are shown on television. The DRM put in place for the new films is something called SOC (Selectable Output Control). SOC is set to cut off signals to all DVRs in the US, so that the movies can’t be recorded in that way. The restrictions would be lifted once the titles become available on DVD.